SEO software is a tool that allows users to identify, analyze and organize keywords and plan strategies around them, improving their organic search rankings. This solution does other important things, including backlink analysis, content optimization and link building. The benefits are varied as the feature sets come in different packages. Search engine optimization or SEO is a strategy that aims to improve your ranking in organic search results and is a vital component to any marketer’s online marketing strategies. But the research and organization that go into targeting the right keywords is tedious and slow and prone to errors. Enter SEO software. SEO software solutions free you from tedious keyword research and with quicker and more accurate results. They deliver a wealth of insights, such as keyword ranking in real time, ROI prioritization and keyword density. As a result, you can focus more on high-level planning like content marketing strategies around your chosen keywords. Different SEO tools are used for different purposes. To help you understand the current landscape here are a few examples of SEO software. MOZ Pro. It is the definition of a top SEO software. At once an app for content marketing, SEO and link analysis, this solution features standard and advanced research that help you refine your keyword structure. The app provides detailed data on inbound links and tracks on-site issues and, overall, improve your SEO rating. SEMrush. It’s a keyword analysis app with a freemium and paid plan. The paid plan lets you see the keywords where your competitor ranks and their landing pages. It also helps you evaluate the value of each keyword and helps you choose the best routes for your PPC bids. Raven Tools. It helps you manage SEO, PPC campaigns and social media engagement. It tracks search engine trends, conduct keyword research and analysis and manage link building, among others. Likewise, the app generates marketing reports for an in-depth look at your SEO metrics. AgencyAnalytics. An SEO reporting app that suits agencies. It features mobile apps, multiple third-party analytics, social analytics and backlink monitoring. The tool is great for SEO auditing and PPC keyword research for online campaigns. Serpstat. It’s one of the more comprehensive SEO solutions designed for marketing and search analytics, content marketing and PPC campaigns. It helps you discover also the market share of the domains for the top 100 search results on specific keywords. Netpeak Spider. A website crawler that detects SEO issues that impede the website’s visibility. The application acts like a search engine robot and combs through pages and their attributes to ensure that they have no SEO problems that are affecting the site’s prominence in the web. MOZ Pro’s dashboard showing key SEO metrics. More traffic, more profits. More traffic equals more leads and, ultimately, more profits. SEO is now a must in your marketing strategy even if you lack an eCommerce website. The more efficient your SEO efforts are, the likelier they’ll lead to higher search rankings for you. That bodes well not just for direct sales, but for being found online during a customer’s product research. Targeted keywords. SEO software solutions can mix and match keywords based on relevance, value, competition and other metrics. They let you discover long-tail keyword sets that may be hardly used in your niche but profitable to the business. The most advanced solutions can aggregate unique keywords in billions across search queries. Save keyword research time. The tedious, time-consuming task of manually searching for keywords one at a time is replaced by an automated process that searches keywords in bulk. What takes hours of work is now done in minutes, freeing up your time for other important aspects of your job, say, planning out content strategies and analyzing outcomes. Organized keywords. Related keywords are also automatically grouped and categorized by relevance, value or any other metric. Instead of having just a list of keywords, you have a structured list where it’s easy to sort the high-value group versus the secondary group. This enables you to plan your organic search campaigns with precision, whether it’s a full-scale strategy or an exploratory sortie to seize temporary search rankings from a competitor’s stronghold. Link insights. If you have an active link-building strategy, SEO software solutions provide a space to manage your link partners. You can organize your various websites’ search performance, for instance, Google PageRank and Alexa, under one roof. It is easier to track inbound and outbound links and spot broken links. In the same breath you can view the search ratings of your competitor’s websites. You can analyze your bigger competitors’ inbound links and plan your keyword campaigns around them hoping to seize some juicy traffic and funnel it to your way. SEO content ideas. Some SEO solutions provide topic suggestions based on popularity and relevance. On top of average search rankings of a given topic, some solutions even use trending analytics on searches. They can churn out real-time data on the hottest topics at the moment. The stories are categorized and ranked based on searches, links and citations by other sites. Advanced tools even provide predictive analysis to indicate the trending topic’s direction on the next few hours, which greatly aids your decision to use the topic or not. This tool ensures your website is always relevant to the market’s interests. Motivation. Yes, SEO software solutions can be a motivational tool for entrepreneurs. Seeing small but iterated improvements on their traffic can drive them to stay focused on and commit more effort to SEO strategies. That’s a big edge over websites that lack for clear SEO paths. SEMrush features a live update on keywords. How does SEO software work? It depends on the type. These are the general categories, but by no means are they set in stone. Some solutions have all or a combination of types. In short, some of these types may be also features of SEO software. Keyword tool. What is SEO software without this tool? It is the core function of most SEO software solutions, which lets you dig up millions of keyword sets for organic search with just a click. Some solutions focus on long-tail keywords, which have a higher ROI value. This app is often designed for PPC bidding but is widely used to identify the hottest keywords and discover untapped phrases. The app churns out metrics like CPC, monthly search volume and historical trend. Many keyword tools are free. Ranking tool. This app mainly tracks your search result rankings for each targeted keyword phrase. It’s valuable to identify what works and doesn’t, allowing you to focus your resources on high-value keywords. Website audit. It crawls your website for SEO issues and suggests ways to resolve them. The app may analyze both content and technical SEO elements, such as wrong meta descriptions, missing keywords, broken links, duplicate copies and on-page SEO gaps. Content SEO tool. This type focuses on your website content and optimizes it for search ranking. It suggests keywords and topics that align with your site’s niche. Technical SEO tool. This type focuses more on the technical structure of your website (versus content). These include image compression, HTML compression and Java scripting rendering. Meta descriptions, links, and status codes are also assessed and improvements are suggested. Copy audit. Duplicate copies are penalized by search engines, hence, this app scours your pages for plagiarized copy. The level of plagiarism is also indicated for more in-depth analysis. The process works vice-versa also: other sites are tracked for copies that are appropriated from you. A parallel feature may be offered: copy readability, which is also a major Google ranking factor. This tool analyzes your articles for clarity and readability, but, note, it cannot accurately judge literary styles, so take the readability score with a grain of salt. AMP testing. Accelerated Mobile Pages (AMP) is initiated by Google and Twitter to load mobile pages fast by stripping down HTML. The SEO app tests your AMP pages and spots potential issues. Outreach SEO. If you have a serious link-building strategy, you need this type of app. It lets you add to a database the profiles of bloggers, websites and social media influencers and sort prospects by importance for link exchange. Factors for scoring include social followers, inbound links and citations. The app also crawls the internet for the prospects’ contact details and adds these in the database. It’s a huge time-saving tool for outreach marketing allowing a single person to do what a team of researchers can achieve manually in one week. Serpstat lists all your SEO projects in one place for convenience and easy monitoring. What does SEO software do? It does more than just discovering keyword phrases. Note that how dominant the feature is usually shapes the main purpose of SEO software. Keyword research. It is often a free tool and the main feature of an app. You enter a keyword phrase and the tool displays the monthly search volume, average CPC, competition, and other secondary metrics. Likewise, it shows related keyword sets with their respective metrics, too. A solution also provides structured keyword suggestions to help you align your keyword entry along actual set of words used by people in searches. 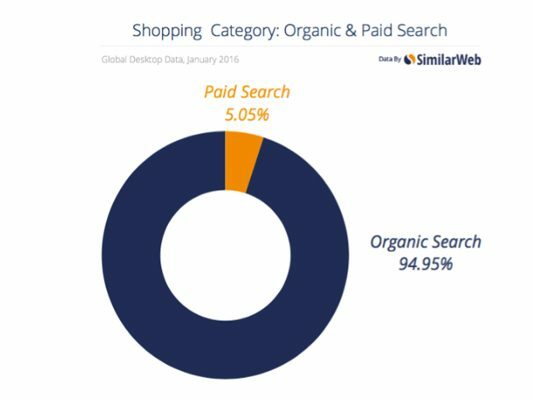 A graph may also be shown to indicate the month-to-month behavior of the keyword phrase, giving you a heads-up on its viability to get traffic. SEO content authoring. A plugin may be available to help you insert keywords at the right places in your article. The plugin connects to your publishing platform (ex. Wordpress) and suggests keywords as you write. It may also suggest related topics to your current article for more SEO opportunities. This tool makes sure your website or blog is keyword optimized and is also useful for blog posts and landing pages. Competition analysis. It analyzes the inbound links of your competitors’. Alexa ranking and Google PageRank are usually integrated. Website audit. Your website is analyzed for inbound links, page rankings, and SEO opportunities. Likewise, the solution may have a link management feature that lets you consolidate your link partners in one place for easier monitoring. Change tracking. Any change in SEO metrics, a drop or increase, is tracked and reported at once. Metrics include country and global website ranking, keyword rankings, page views, backlinks, traffic, returning visitors and bounce rate. Search engine submission. This feature may be included where the vendor submits your newly launched websites to Google and other important search engines for indexing. Once indexed, your websites are now open to crawling by the search engines’ spiders, bots that rate the site for ranking. Free works fine. Before subscribing to a paid plan try free SEO tools first. There are plenty of free apps in the market and many of these are easy to set up and give respectable results. They give you a good grasp of comparing the features and results without the cost. The free version also gives you enough traction to evaluate the app. Likewise, the more you get confident in using the main features, the better you can assess other paid apps for more advanced tools. Mobile integration. The introduction of AMP pages for fast mobile page loading changed the SEO game in this space. AMP pages are now preferred by Google over web pages in mobile internet. The more reason you should have this feature to test if your mobile site is AMP-optimized. Scalability. Scalability is important to any business process. It gives you the flexibility to meet your growing needs. Make sure your SEO tool can expand its functionalities either by integration with third-party apps, customization of the features or via add-ons. For example, can the tool adapt to the mobile platform? Does it have a browser plugin or publishing platform plugin that complements the app? Multi-lingual support. If you have websites in other languages targeting non-English markets, make sure the SEO tool has an international edition. It is better to use a single app with multiple language options than different apps for different countries. Reporting capabilities. At the basic level, the SEO software solution should be able to provide summaries for the most important metrics, such as keyword rankings, competitive comparisons, link analysis, and audit pages. The app should also enable you to visualize historical performance, the clearer to assess your SEO strategy’s success or failure. The cost of SEO software depends on the feature set. Some of these tools are free with paid plans, while others are targeted at companies that require enterprise features. MOZ Local. This SEO app only offers enterprise plans targeting agencies, small businesses, and large companies. Paid plans start at $9 per listing or $99 per year. SEMrush. The app’s pricing reflects the common practice in SaaS where annual subscriptions are offered at a discount. The annual rate for its basic plan is $699.50 compared to $839 if you go for the monthly price of $69.95. Serpstat. An SEO tool can be free and still offer robust features. For example, Serpstat allows ten queried daily, ten results per report and in-depth URL analysis for its free app. It does have paid plans for the more advanced tools starting at $19 per month. AgencyAnalytics. SEO is often the function of consultants and small agencies that many tools offer a freelancer rate. This app charges $49 per month for 5 campaigns, 500 keyword rankings and 50,000 audit pages, enough to accommodate around ten clients. SEO software makes implementing SEO strategies easier and faster. However, this comes with its own issues, which you should be aware of. Too much focused on SEO. SEO software solutions tend to focus the company’s attention solely on SEO metrics. Put aside or treated as secondary elements are other key factors why readers will visit and return to your website. Factors like quality writing, well-researched pieces, social media engagement, and face-to-face sales and even branding are too often overshadowed by SEO strategies once the website starts to rank on choice keywords. What happens is the website is commodified since its content is based on general keywords and not along your brand’s propositions. Likewise, the result is the classic all-eggs-in-one-basket syndrome; making the business 100% dependent on Google’s moods. Grey hat SEO. The ability to generate tons of keywords, analyze websites for links, track rankings… all these give the user a lot of information that can be used to game the system. The problem is not a black hat like spamming, keyword stuffing or duplicates–they are easily spotted and penalized–but grey hat where the rules are followed but bent to favor one’s site. The issue of fake news of late highlights this nagging and potentially devastating problem, where anyone can slip off Google’s net even for a few days or months. Malware. While there are plenty of reliable free SEO tools, there are also free tools that entice you so they can collect your data or pry into your website’s sensitive data under the guise of SEO auditing. Your best defense is to stick to trusted vendors and read user reviews and learn from other users’ experiences. SEO is one of the most frequently disrupted industries. A Google update reverberates across the landscape and here are a few of them in the coming years. AMP. It was launched two years ago by Google but it is only this year that AMP pages really took off. From a handful of website partners using the open source mobile page platform, over 4 billion pages are now AMP optimized, said David Besbris, VP Google Search, AMP Project. However, many websites, even high-ranking ones, are yet to be AMP optimized, that’s why we expect this space to be more crowded soon and in the following years. With more AMP pages in the pipeline, competition over organic mobile search results will get tighter and today’s ranking sites will face new challengers. Mobile-first indexing. With the launch of AMP Google seems headed to a mobile-first indexing path that prioritizes mobile-only sites over desktop-mobile ones. This is unverified but it is clear you need to initiate a solid mobile SEO approach now to prepare for this paradigm shift. Voice search. It is not clear yet how voice search will impact on overall search result rankings. However, a new Voicebot Report says around 20% of adults in the US own smart speakers. We can only expect this rate to grow as voice recognition technology improves and becomes a standard feature in gadgets. One potential impact of voice search is on featured snippet. Google seems to push the snippet on top of voice search results when there is a keyword match. Video and image searches. Google is predicted to introduce more sophisticated video and image search results after it acquired MoodStock and EyeFluence. This move is aimed to counter Facebook’s dominance over YouTube when it comes to monetizing videos and images.